Canang sari is a means of worship used by the Hindu people in Bali, addressed to God, deities, spirits and ancestors, as a form of devotion and human respect. Canang sari is a major component in a base and offerings. 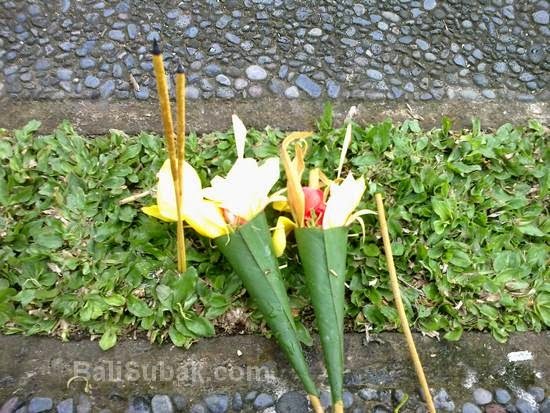 Without canang sari, an offering would not have any meaning. 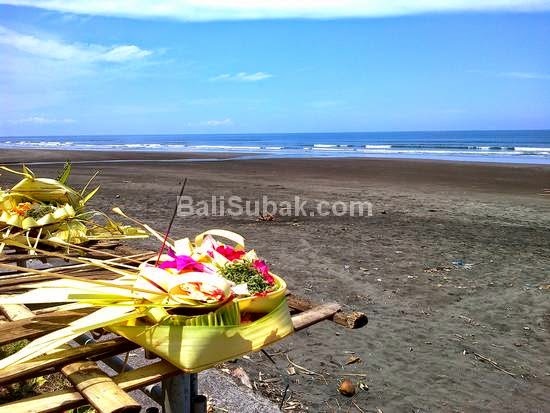 That is why the Hindus in Bali always use canang sari in any prayers, rituals and religious ceremonies. 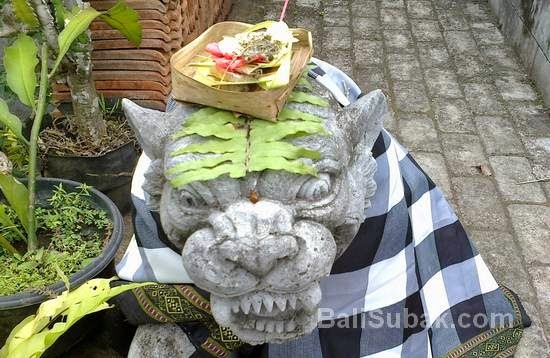 Every morning or every afternoon, sometimes also during the day, the Hindus in Bali always pray with using canang sari. Canang sari used for offerings, not only to God, is also the ancestral spirits that exist around us. 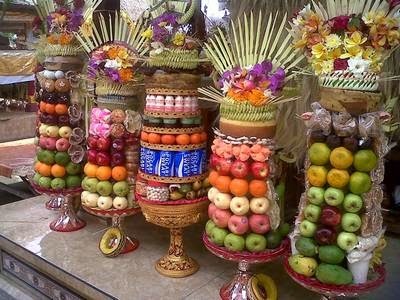 It is true that God does not need to eat or drink from us, but canang sari is a means, a sacrifice as a form of human devotion and human respect. For the ancestral spirits, the holy sacrifice that we offer is a positive energy that will be accepted by the ancestors around us. So people get a good hope that can coexist with ancestors on this earth. Canang sari not only used for worship in temples. Canang sari also dedicated to the spirits of ancestors who were in the river, on a very large tree, on a very large rock, at a crossroads, and in places that are considered haunted. Not that the people of Bali to worship them. But, presents a canang sari as a form of human respect to the ancestral spirits who are in various places. Because humans live side by side with them. So it is appropriate that they respect the existence of human beings. They are part of human life. Canang sari many forms. Some are made round, there are made circular, triangular made there, there jyga made conical, all depending on taste maker. But in general has the same composition.